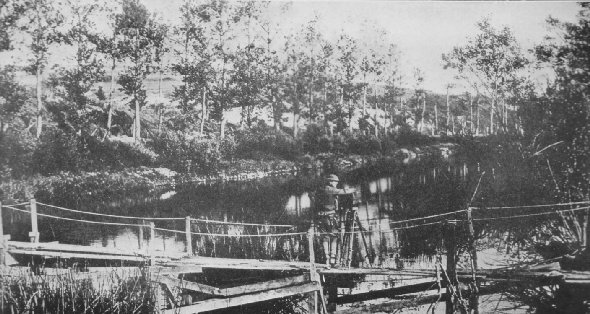 This photograph, taken as American troops steadily drove the enemy northward from Verdun, shows a bridge across the Meuse River, constructed by the 108th Engs., 33rd Div., while under heavy fire, near Brabant, in the Argonne. 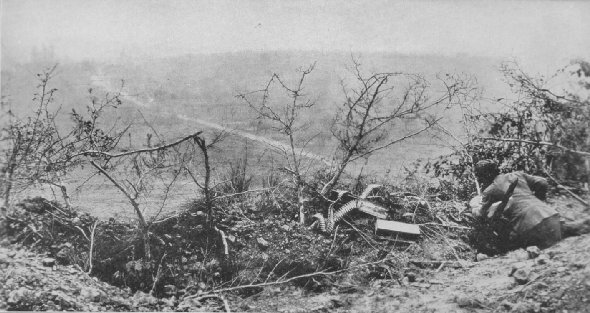 It was from here that German machine gunners on October 2, held up the advance of part of the 77th Division. The 1st Battalion, 308th Infantry, continuing its advance on the left, lost contact and was entirely surrounded.